In the world that we are living in today where there is much rioting and drunkenness, chambering and wantonness, strife and envying. It really makes me think Sodom and Gomorrah; even of Nineveh. It sounds like the world has reached the same place as in the description of the days of Noah. 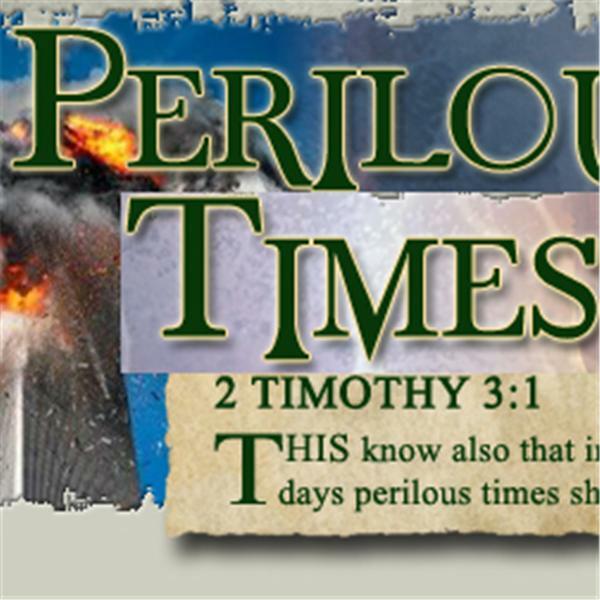 I am fully aware of what the word of God says in relation to these times we are now living. Because the word of God tells us of the things preceding Jesus' second coming. we should not be surprised at the cruel, heartless and downright evil activity that is at epidemic proportions today. Don’t be naive. There are difficult times ahead. As the end approaches, people are going to be self-absorbed, money-hungry, self-promoting, stuck-up, profane, contemptuous of parents, crude, coarse, dog-eat-dog, unbending, slanderers, impulsively wild, savage, cynical, treacherous, ruthless, bloated windbags, addicted to lust, and allergic to God. They’ll make a show of religion, but behind the scenes they’re animals. Those of us who believe in God and His word should recognize that we are living in the end times and thus we should be more about our heavenly Father’s business more now than ever before. God would not have us ignorant. We know that through His word that when the world knows of God, then the end is coming. Yes, we mourn the senseless deaths, the moral decay that has eroded the very fabric of our society but saints, it is time to look up; be as the sons of Issachar and recognize the signs of the times. Come on church (body of Christ) let’s do our part and put an end to the gross darkness that has taken over the world. This is not the time to be vying over church positions, arguing over religions and other insignificant things. We need to be prayerful, be praying, be alert and be sharing the good news of Jesus! Thank you for this post, many people are troubled by the recent shootings by the police and of the police, but God said that we are to be still and know that He is God. We are to keep our minds and hearts stayed on Him. Church let's trust that He is working in the world through His word. Did you know that the difference between world and word is the l, when you take the light out of the world all you have left is the WORD. Trust and believe, everything you need right now is in the word of God. Can I subscribe to or follow your blog? I put a link to yours on mine at WorthyistheLamb737.blogspot.com. This is an amazing blog. I'll visit and share it often. God bless you. Good morning Brenda, I am so sorry I missed your comment. Absolutely you can follow this blog. I believe all you have to do is click on the 'follow' button at the right top.Please feel free to use any of the posts!